When Adele released her new single “Hello” many have noticed that she is slimmer now than at the beginning of her career. It has reported that she had started jogging and following a strict vegetarian diet after giving birth to her son last year. Adele’s Rolling Stone interview, says she cut the intake of sugar, meat and has only one alcoholic drink a week while lifting weights in the gym. 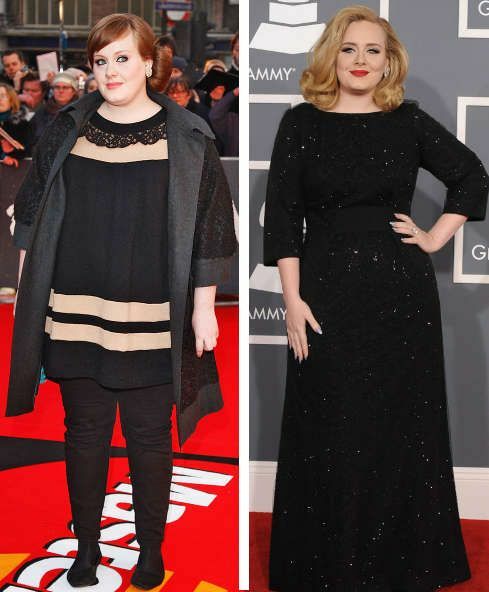 "To get in shape for myself, but not to be a size zero or anything like that," she says. The secret to her success weight loss: She did not crash diet instead she made a totally lifestyle change, incorporating healthy diet, cardio, strength and circuit training. She views a vegetarian diet not as deprivation but as a positive way of life (she’s said she made the change because of her love for animals). And it’s clearly working for her. Way to go Adele.